Style and substanceNokia 7.1 is the perfect combination of style and substance. The Full HD+ 5.8” PureDisplay screen with 19:9 ratio goes edge to edge for a bigger experience without the bigger handset. 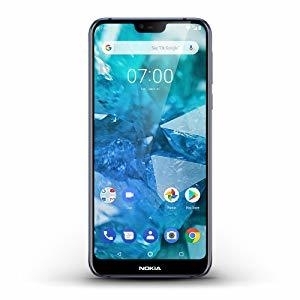 Glass front and back, shaped at the edges for comfort, with a 6000 series aluminum frame; the Nokia 7.1 stands out with its diamond-cut colored chamfers. 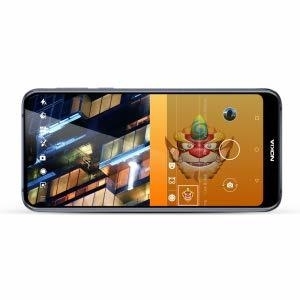 The best apps at your fingertipsAndroid One brings a Google designed software experience to Nokia 7.1 with a streamlined, easy to use interface and curated set of pre-installed Google apps like free, unlimited high-quality photo storage with Google Photos. With regular security updates and two years of OS upgrades your Nokia 7.1 stays secure and features Google innovations like optimization for Google Assistant. 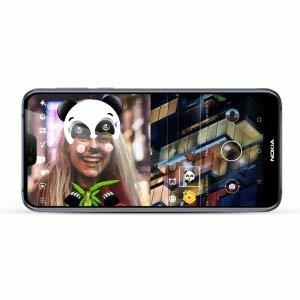 Go all day without chargingThe all-day battery life in Nokia 7.1 lets you watch, play, and surf longer without charging. 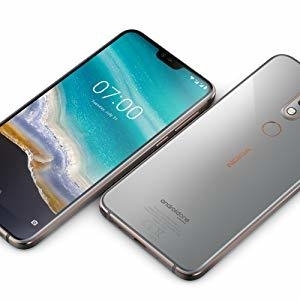 And you’ll have enough performance for everything from AR gaming to streaming thanks to the powerful Qualcomm Snapdragon 636 mobile platform and 4 GB RAM. 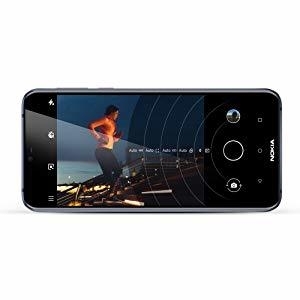 Pro Mode LandscapeGet the shot you want with optional manual control of white balance, ISO, aperture and shutter speed. Real-time SDR to HDR conversion brings HDR quality to all your videos. Watch HDR videos, which provides increased contrast for more true-to-life colors and vivid details, in films that stay true to the creator’s intent. 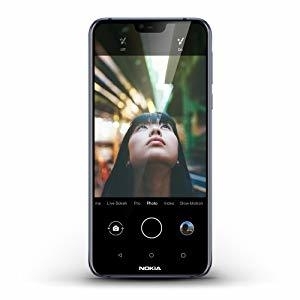 Infinite Dual-Sight PortraitThanks to sophisticated depth-sensing rear cameras with ZEISS Optics you can capture professional-looking photos with effortless bokeh blur. With true-to-life HDR you can capture crisper and sharper images with increased luminosity, a wider range of colors and more detail in both bright and dark areas. Live Broadcast with Dual SightUse the Dual-Sight mode to put simultaneous 3D personas, masks and filters in your photos and videos. Then live stream them to Youtube or Facebook without leaving your camera app.